I’ve mentioned a few times that I started Accutane for a second course of treatment back in December of last year – and with a treatment as harsh as that (along with the wintry weather), my skin is needing all the hydration it can get! This means finding face masks, treatments, serums and moisturizers which really help combat the awfully tight and dry skin that comes with taking the medication. I thought that putting together a post with my top three favourite hydration masks might be useful for lots of you, as I know that I’ll be reaching for these a lot throughout winters to come. They’re just really great products for moisture-lacking skin, regardless of whether you’re on Accutane or not. 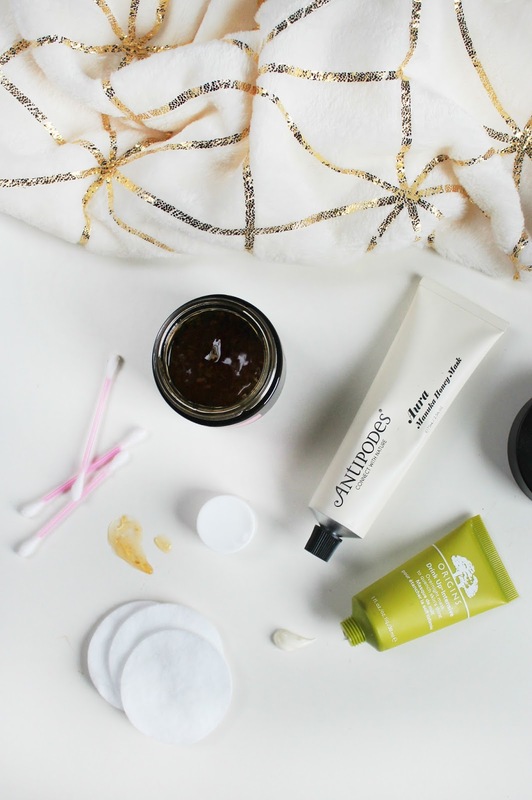 It’s probably no surprise to you that I’m including the Origins Drink Up Intensive Overnight Mask in this post – I’ve been using it on and off for years and I usually whip it out throughout the winter months to use most nights. I love how it does exactly what it claims to, and my skin definitely does drink this up! It smells quite pleasant, and although it’s on the stickier side, I can look past that because it works so well. For breakout prone skin, I highly recommend the Antipodes Aura Manuka Honey Mask. I’ve been trying it out for the past few weeks and I’m thoroughly impressed. I’ve been suffering from dry skin and really awful breakouts for years and I haven’t found many hydrating face masks that soothe the skin without clogging pores and causing more spots. This one not only soothes, but it also reduces any anger or aggravation that might be going on – and with Accutane, that’s quite a lot. I’m on month two and that means a lot of itchiness, peeling skin and flaking patches. This face mask gives my skin a shot of moisture and really helps in minimizing the side effects of the treatment. The Body Shop Rose Fresh Plumping Mask has been my absolute go-to for a quick boost of hydration throughout the winter months. It smells gorgeous and it works a treat at plumping up dry skin without any irritation or tingly feeling. There’s an instant cooling effect when it touches the skin, I always like to use this when I have twenty minutes to spare and I want something quick to calm down any itchy redness or dry patches that I get from taking Accutane. 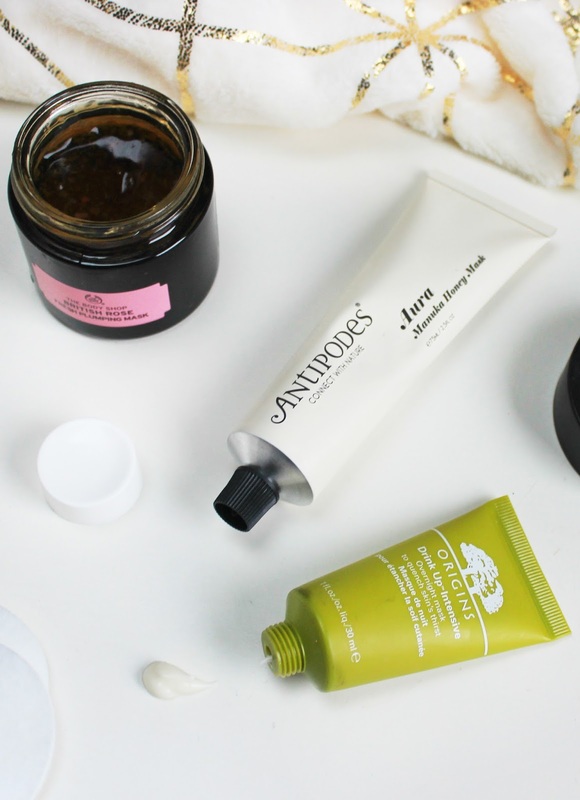 What are your favourite hydrating face masks?